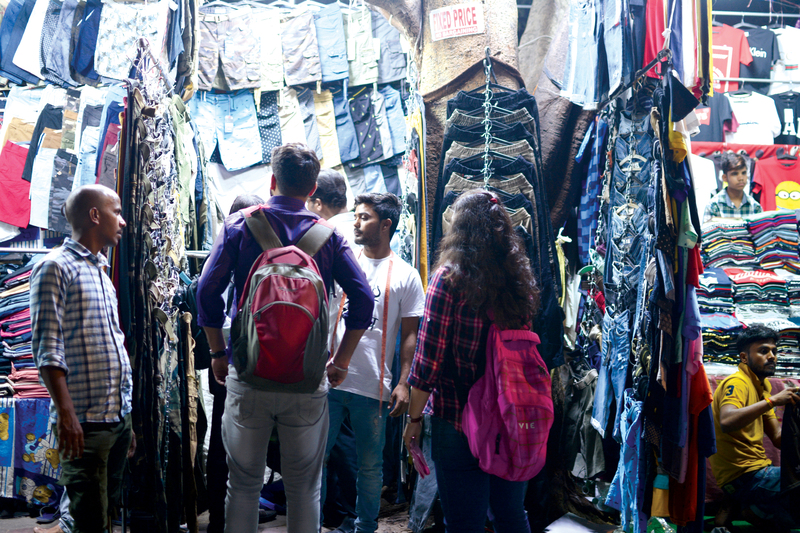 In stark contrast to the posh exteriors of Sarojini Nagar market, are the multitude of shops that sell second-hand clothes there in the guise of exported garments. This market is definitely the go-to place for the Capital’s fashionistas to find the latest trends, but the concept of second-hand clothes is what makes it more fascinating. As one attempts to understand the origin of these crumpled, worn off clothes hung one over the other, the recurring explanation from the shop owners is that it is export surplus of products that are made in India. Sometimes the description that is offered is that it is export material for foreign countries that are sold in India at cheap prices because of minor defects. None of the statements make any sense, given the condition of the clothes. However, these marketing tactics are a way for these shopkeepers to save shoppers from the guilt of buying second-hand clothes. 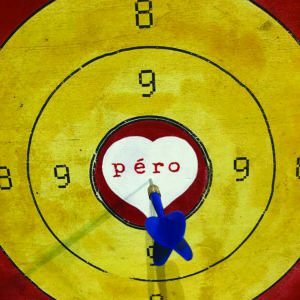 Amid the ongoing talk of sustainability, the resale of pre-owned clothes has been pushed as a worthwhile cause. 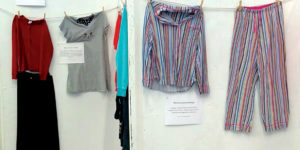 As fast fashion has resulted in more discards, businesses around the world have taken the much-needed step to bring back second-hand clothes into the fashion cycle — so much so that according Thredup Resale report, wardrobes world over are expected to have one third of second-hand clothing by the year 2033. Nevertheless, the scenario in India may not be similar, where textile merchants for years, have been accepting tonnes of pre-owned clothes that are graded and exported as tradable goods. These clothes that begin as donations in developed countries end up as blankets in African countries and doormats in European countries. 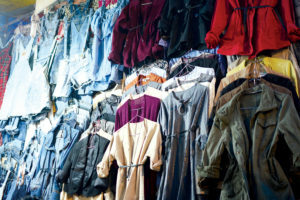 Even though in India second-hand clothing is largely stigmatised, it happens to be a place where a bulk of these clothes are sold in markets that are known for their low-priced products. To understand how second-hand clothing is accepted in an Indian marketplace, Patriot speaks to resellers in Delhi’s local apparel markets. After almost everyone in Sarojini Nagar market refused to acknowledge their displayed clothes as at least once worn, we located RK Mishra, at his spot that he has rented out in front of a juice parlour at the end of the lane that is decked with shops with second-hand clothes. As we are welcomed by his two assistants and offered a look at the shirts tightly hung on a circular fixture, all available for Rs 100 each, the younger chap shakes his head with a no, disagreeing that they are not selling second-hand clothes. The other man tells us that he has only started working at the spot a day ago, so he does not know much about where these clothes come from. But Mishra is one of the few shopkeepers who are open about discussing the process that is involved in the procurement of his merchandise. “These clothes come from various places like the Kandla port in Gujarat, factories in Panipat, Mumbai and the market near the Red Fort in Delhi,” says Mishra as he shows the clothes to his customers. On being asked how the business has evolved in these years, he says, “There is a lot of competition now in Kandla –– one of the major sources of old clothes where the international shipments arrive. We buy bundles in quintals and are not allowed to open it, until we pay for it. This was not the case earlier. We buy some 500 kgs of old clothes for Rs 15,000 to 20,000 and earn around Rs 5,000 to 7,000 for every such batch.” He adds that he finds the business difficult now, as they have to pay at least Rs 2,000-2,500 everyday as rent. As Mishra’s little counter occupies space outside the juice seller’s joint, he pays this amount to it’s owner and police have their own share. According to him, online retail is crushing their business by selling clothes at extremely affordable prices. “People don’t prefer coming to the market in this heat, let alone buying old clothes when they can easily sit at home and get something decent for almost the same amount,” he adds. He has a few more spots in Delhi where he sells used clothes, one of them being in Azad Market. The market is full of second-hand denim apparel for its durable nature. 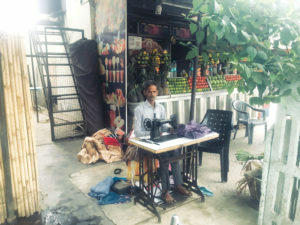 A shopkeeper, who puts his counter a few meters ahead of Mishra’s, sells similar merchandise, but is reluctant to admit that they are second-hand in nature. For him, it is the export surplus that people in Delhi happily buy for a good bargain. An entire lane has shopkeepers selling refurbished clothes who are unwilling to discuss the origin of the clothes. 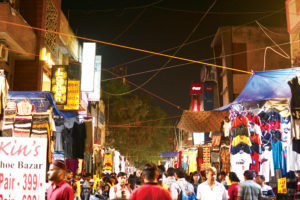 Sarojini Nagar market continues to be the Mecca for fashion enthusiasts who make regular trips to the market and curate their collections out of the bulk that arrives here. Janpath, a rather clean market in Central Delhi that once had similar sets of refurbished garments hanging in many of its shops, is now a different sight. The majority of the market has fresh stock of clothes locally produced apparel sold as knock offs of international brands. Rahul Singh, a shopkeeper in the market suggests that one can rarely find out if anything is old as each of those are doctored as new ones. His shop is methodically decorated with pants in various materials and lengths, along with a small selection of them being preowned clothes camouflaged between the fresh pieces. These old ones are hard-washed, repaired with stitches and additional pieces of fabrics, ironed and placed among the new ones labeled with fabricated tags of UK-based label, Superdry. He goes on to tell us how he and a few other owners keep a small percentage of second-hand clothes compared to earlier days when the market was flooded with it. “Now people think that they can buy a new one with an additional Rs 50-100. People are smart these days, they can make out if its old or not. Earlier, most people did not care and were not aware that it was old,” adds Singh. He goes on to add that these clothes arrive from countries that have water shortage and India is readily accepting their discard. “You know how we use water in India, it is always more than required,” tells Singh. There is a huge market during winters as winter-wear are regularly disowned by the people in cold countries. 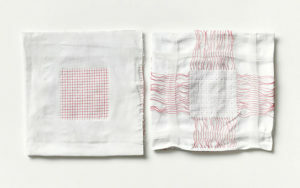 He tells us that these clothes are identified as UTs — use and throw — in these countries as they are worn for a short duration. He thinks that Indians are in a habit of wearing something until it completely breaks down, which is why people are still readily buying second-hand stuff. With easy availability of fresh apparel being sold online and in shops at throw-away prices, there is little chance for second-hand clothing to find new wardrobes in India. There are businesses that have started renting out occasion-based clothing, but it will take a different route to scale up the practice of preowned pieces of clothing to excite a person who has the option of buying fresh clothes.